May place flyers and other advertising material at the meeting. Logos will be displayed throughout the conference. Exhibitors will receive 2 entry tickets to the meeting. Their logos will be shown on our website as well as being displayed throughout the conference. Sponsors will receive 1 entry ticket to the meeting per CHF 500. Their logos will be displayed on our website as well as throughout the meeting. 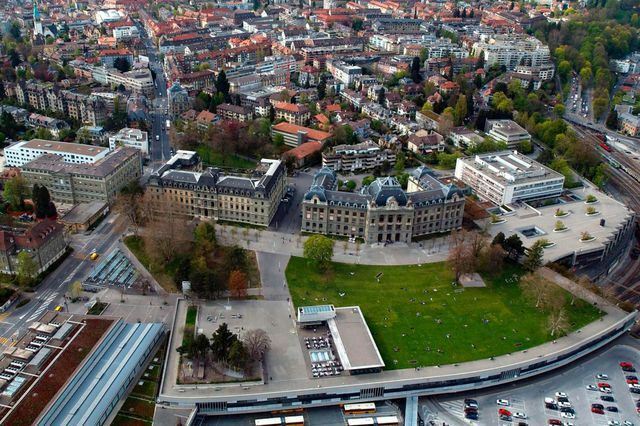 The 13th Applied Biosafety Meeting will take place over two days at the University of Berne on August 22nd/23rd 2019. We are currently organising a conference dinner for August 22nd 2019. Details will be published here in due time. Costs for the dinner are CHF 70 which includes a three course meal and non-alcoholic beverages. The menu may be downloaded here in due time. Please be aware that registration for the dinner is required. Dinner tickets may be obtained through our website (two seperate registrations are required for the conference and the dinner). Should demand arise, we will upload information regarding hotels in due time. A map of the area may be found here. Registration ends on July 31st 2019.